An interdisciplinary group of panelists looked back at the progress since the civil rights movement and the ongoing struggle for racial equality in a panel discussion last night entitled “From Birmingham to Barack: The Politics & Progress of the Civil Rights Movement, 1963 to 2013.” The discussion used as a focal point the series of protests in '63 in Birmingham, Alabama. Fox News analyst Juan Williams, the event’s moderator, began the conversation by reflecting on how it was a unique time to consider race in the United States and reignite the conversation among a new generation. Williams cited movies like The Butler, Django Unchained, and The Watsons Go to Birmingham; the election and re-election of the United State’s first black president; and the national attention and outrage surrounding the Trayvon Martin case as the impetus for discussing race today. The conversation began with the panelists discussing where the events that took place in Birmingham 50 years ago fit into the larger conversation about race today. Adam Green, associate professor of american history at the University, said that the Birmingham protests represented a pivot point in the civil rights Movement because it was one of the first major victories. While there had been struggles to end segregation in cities all around the south, there had not been a victory or organized campaign until Birmingham, Green said. The success of the Birmingham campaign created tangible momentum for the movement. Anika Noni Rose, an actress from The Watsons Go to Birmingham, pointed out that even 50 years after Birmingham, much still remains to be done. “It is a mistake to believe we are living in a post-racial America. It is a mistake and a lie,” she said. The Watsons Go to Birmingham is a 2013 movie that shows the civil rights movement through the eyes of a 12-year-old. Green elaborated on Rose’s point by acknowledging that while the country has a black president, America still sees cases like that of Trayvon Martin, the African-American high school student shot in 2012 in Florida by neighborhood watchman George Zimmerman, who is Hispanic and white. The rest of the conversation was facilitated by questions from the audience and focused on the idea of how to make a difference right now, in the face of what panelists characterized as growing economic inequality and an inadequate education system. 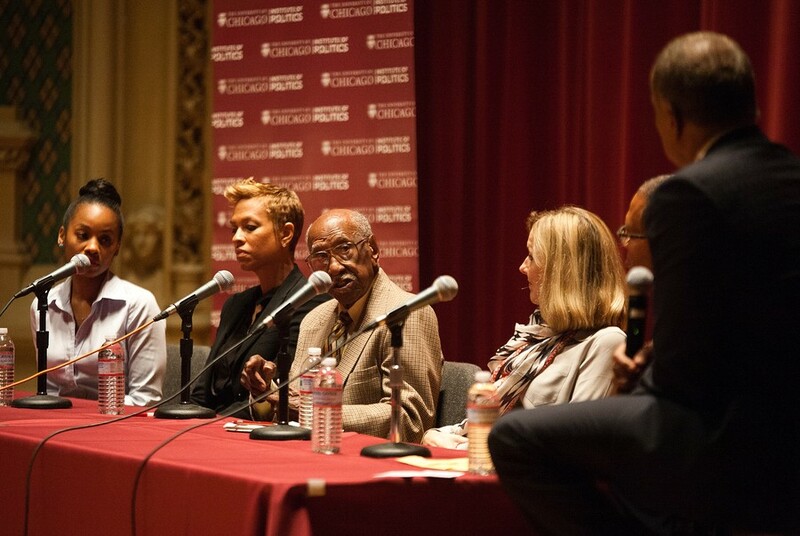 The panelists encouraged young people to believe in the power of their own voices to effect change, though Lee cautioned that major change would be difficult in the current environment of political gridlock. Tonya Lewis Lee, writer of The Watsons Go to Birmingham, elaborated on the importance of young people getting involved, saying that youth need to be aware of the history of the Civil Rights movement. Lee said that she made her movie to help youth today experience the civil rights era the way someone their age experienced it in history. The panel was sponsored by the Institute of Politics in commemoration of the 50th anniversary of the Birmingham events and March on Washington.